Heating and Cooling auto repairs in Raleigh/Durham for your Mercedes, BMW, Audi, Porsche, Land Rover, Mini, Volvo, VW, Lexus and Toyota. It’s like a dealership at your location but affordable. Don’t get caught in the North Carolina heat without AC in your car this Summer. Proficient Auto makes it simple to get your Heating and Cooling System repaired or replaced. We offer top-notch services right to your home or office, making it simple to get back to your daily routine. All it takes is your vehicle’s make, model, and year along with a brief description of your issues. At that point, one of our trained ASE Certified Mechanics will be scheduled for same day or next day service at your location. We strive to address your vehicle’s issues quickly and affordably. Hassle free heating and a/c repairs with peace of mind at your home or office. If you’re ready to get started, call us today for a free quote at (919) 675-2886 or fill out our contact form here. One of our friendly customer service members will be in touch within hours. In addition to the great service we provide, we also offer a “Peace of Mind” promise. 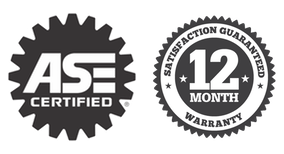 This means any parts supplied by Raleigh Vehicle Repair are warrantied for 12 months or up to 12,000 miles. All services are provided with a smile; what more do you need from a mobile mechanic? In a hurry for your repairs? Robert went above and beyond while dealing with a part that was sent to him with the incorrect pulley size on for my newly installed A/C compressor. No belt was able to fit it, they were either too large or too small. He got to the bottom of the issue (third-party aftermarket part), sourced the part from the vehicle manufacturer, cheaper than the dealer could provide and was able to get it installed and get me up an running as soon as he was able to. I grew frustrated that the correct part had the wrong pulley size which was not his fault. Robert maintained his composure and developed a solution to get this resolved. I will contact Proficient Auto in the future for my vehicle needs. They were much cheaper, more convenient and willing to ensure customer satisfaction. His crew of mechanics are knowledgeable and personable and quick to determine the issues. Thanks again for your perseverance in getting my A/C compressor fixed.